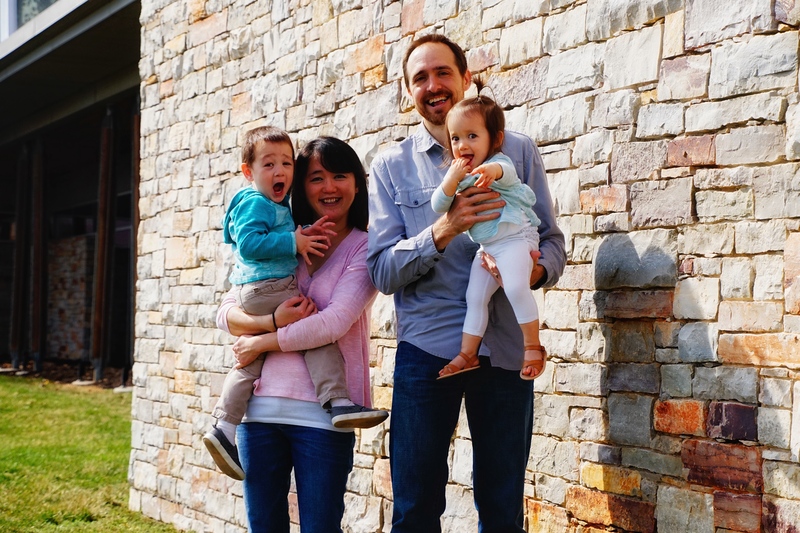 Since 2011, Brian and Joannie have served as missionaries at the International House of Prayer in Kansas City. This is where they met, married and with their young family, faithfully serve the Lord in their ministry assignment. The world is in crisis. Multitudes have rejected the Biblical definition of marriage. The social fabric of Western societies is crumbling. Immorality is pervasive. Public anger floods our society. For many, fear abounds. In all this apparent disarray, what is the Lord doing? One thing He is doing is raising-up places of prayer where He is awakening hearts to the beauty of Jesus. These places of prayer are making Him known through song, clear Biblical teaching and an environment of prayer that allows for a heart-to-heart connection with God. During the past seven years we have seen pastors refreshed; the hurting, healed. Our brothers and sisters from closed countries empowered, and young leaders equipped to minister with a vibrant heart. While serving with IHOPKC, we’ve witnessed the Lord breathe life into His Church and prepare it for what lies ahead. IHOPKC is an Evangelical mission organization committed to the Great Commission, the Sermon of the Mount lifestyle, preaching of the Word, and discipling of young people to impact nations. The heart of all these activities is the prayer room where prayer and worship has continued night and day since 1999. As God restores a culture of prayer in the Church, He’s called our family to shepherd and train others in these settings. Since arriving at IHOPKC, we have served on the mission base in various capacities. Brian has served with Immerse, a short term training program that refreshes believers and strengthens them in a life of prayer. Recently he took a position as a pastor with the Center for Biblical End Time Studies (CBETS), a ministry initiative that empowers believers to understand, live, and share the message of the Lord’s return. Both of us are faculty at the International House of Prayer University. 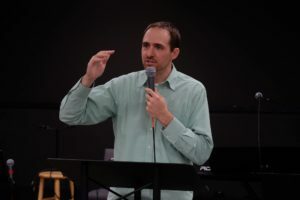 Brian trains young people in the Forerunner School of Ministry and Joannie teaches at the Forerunner Music Academy in both the English and Chinese schools. We also travel and encourage churches in America and Asia. If you’d like to read periodic updates about our ministry, you can subscribe here to their newsletter. You can view the Global Prayer Room in Kansas City here. What is the house of prayer movement all about? God is reviving the Church with the spirit of prayer as He said He would do before His return (Isa. 56:7; Amos 9:11-15; Acts 15:15-16). Corporate prayer has sprung-up across the earth during the past two decades. Since being at IHOPKC mission base, we’ve met people from Egypt, Papua New Guinea, Indonesia, Netherlands, Brazil, Canada, China and many other nations whom God has stirred to build praying communities. All of them have stories of how the Holy Spirit told them to build prayer in their local church or house of prayer. Are you interested in knowing more about the prayer movement and what God is doing in this time of history? Besides reading my teaching notes or our blogs on this website, you can listen to the prophetic history of the International House of Prayer. There are over 25 supernatural, prophetic encounters that God graciously gave to solidify the direction of this movement so we could partner with Him in faith. These stories will encourage and empower all believers as they address not just what God will do in Kansas City, but across America and the nations leading up to His return. ∗The opinions contained in this blog are personal. They do not officially represent those of IHOPKC. We, as well as the other missionaries who serve with us, have the privilege and responsibility of building a team to carry out our assignment. We can’t fully obey the Lord in this work by ourselves. We need a team of friends who will stand with us in prayer and financial support. We invite you to help us train future leaders and strengthen the Church as we proclaim the beauty of Jesus in the context of night and day prayer. There are several ways you can support us financially. You can give electronically through IHOPKC’s website with a credit card or bank withdrawal. There is a 3% processing fee that will come out of your gift. Or if you’d like to support us by writing a check. You can make it out to “IHOPKC” and mail it to the address below. My name can’t be on the memo line if you want a tax deductible gift, but you can put it on a post-it-note and stick it to the check to designate it to me. If you do not put my name on a post-it-note, the gift will not be applied to our account. Please don’t include correspondence to this address. Contributions to IHOP-KC are income tax deductible to the extent allowable under applicable law. Contributions to IHOPKC are made with the understanding that IHOP-KC has complete discretion and control over the use of all donated funds. 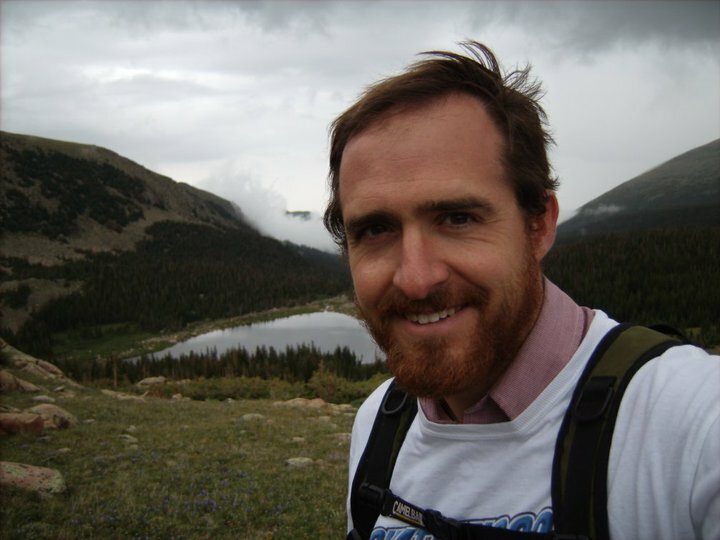 Brian (BA, Wheaton College; M.A.T., Lee University) is a fourth generation pastor and missionary. He has served as an English teacher in China and the U.S. as well as a local pastor. He and his wife, Joannie, are full-time missionaries with the International House of Prayer in Kansas City. IHOPKC is an Evangelical mission organization committed to serving the Great Commission through proclaiming the Beauty of Jesus and advancing 24/7 prayer (since 1999). 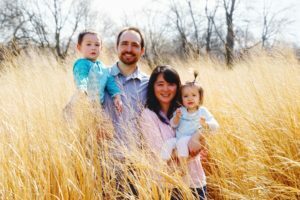 Since joining IHOPKC in 2011, he’s served with Immerse, a short-term training program that has strengthened thousands of believers in the Lord. 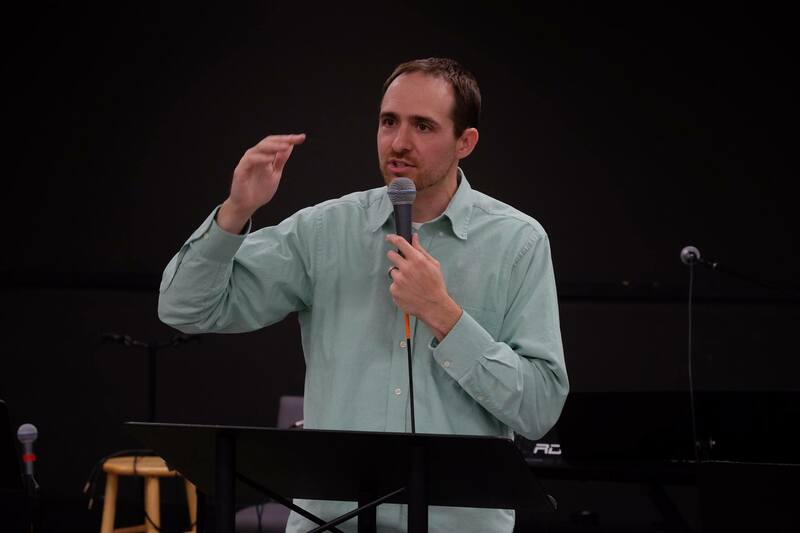 In 2016, He joined the faculty at the International House of Prayer University, teaching the book of Isaiah and Forerunner Ministry. 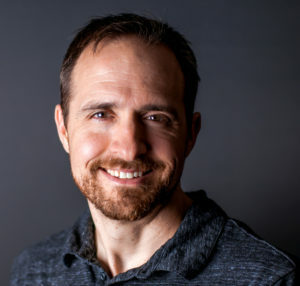 In 2018, he joined The Center for Biblical End Time studies (CBETS), serving pastorally and as a messaging coach. CBETS is a ministry initiative that empowers believers to understand, live, and share the message of the Lord’s return. Joannie (BPME, University of Taipei; MMEd, UMKC) teaches piano and music theory in the Forerunner Music Academy and the Forerunner Music Academy – Chinese. Brian has ministered in conferences throughout North America and Asia in topics including the prophetic, end times and prayer. He and Joannie have been married since 2013 and they have two children, Isaac and Hosanna. Some of Brian’s other interests include basketball, but he’s not as quick as he used to be; hiking, he has been up in the Rockies a few times, ran into a moose and got stuck in a lightning storm at 13,000 feet; Scrabble and learning languages; eating food from various cultures, but not duck’s blood or beetles—although that may have happened; and playing piano and guitar. To connect with Brian, visit brianbeeson.org. Several times in my childhood the Lord met me and it profoundly marked me. As I look back on those times, I am so grateful. My father was a cardiologist and church-planter. His life of faith and friendship had a big impact on me. We have other family members that serve the Lord in full-time ministry: My grandfather was a medical missionary in Kenya in the 1950’s and my great-grandfather was an itinerate preacher. But in all this, there were broken things in the family. In 2008, I entered youth ministry. Immediately, I hit a “dead end” with several generational issues rising-up that threatened my productivity and even–my life. Every day became very hard to live. Through a series of events, the Lord delivered me from depression and other deep spiritual bondages. I began meeting regularly with friends where we sat with the Holy Spirit in prayer. The Lord would bring healing, identity and understanding through impressions and pictures in these encounter prayer sessions as I continued to embrace Him. As God met me powerfully, He began to demonstrate the power of His love to our youth group. Within a few weeks, our team was doing about ten hours of encounter prayer and deliverance for the students as all sorts of things happened that I had only read about in books or Christian biographies. This was a very exciting time as we were learning new things in the Kingdom every week. I began reading books on inner healing and deliverance to gain language for what was happening. This season went on intensely for about a year. As I got to know Jesus’ heart in a new way, I looked for more places to feed my hunger. I began devouring IHOPKC’s teachings online. I was hungry for teachings about Jesus, what was important to Him and His end-time plan. We began training the youth to fast and pray, do the Sermon on the Mount and continued on in exercising the prophetic and other spiritual gifts. Around that time the Lord had us lead a trip to the Onething Conference in Kansas City in 2009 and 2010. Several of the youth had dramatic encounters with the Lord then. This came as we spent long hours in worship as we adored Jesus and heard His Word and He met our hungry hearts. In 2011, the Lord called me into the prayer movement. He was faithful and kind to give me several encouragements along the way to stay steady during this transition. I still rehearse these things to encourage myself in the Lord. In 2011, I moved out to Kansas City to do an internship on prayer. The first week I was there I met Joannie. We hit it off and began dating. I was surprised at how many Chinese speakers there were in Kansas City at IHOPKC. Then in 2012, the Lord revealed to me through a series of events that I was an SRA/DID survivor from abuse that happened early-on in my childhood. I thought He brought me to IHOPKC to serve as a missionary. He did. But He also brought me here to slow down parts of my life to bring healing. A lot of experiences in my past began to make sense. I had always felt that something was not right and was seeking help, but for what exactly, I wasn’t sure. This discovery was the key. The Lord brought several key friendships and healing ministries to help me encounter Jesus and grow in wholeness (Restoration in Christ Ministries and Seek First Ministries). During this time, He strengthened me to get married, have children and start a new life, a life with more parts of me working together as God intended. In this recent season, the Lord has shifted me from a season of pruning to one more external fruit, including teaching and training. ∗The opinions contained in this blog are personal and do represent those of IHOPKC.